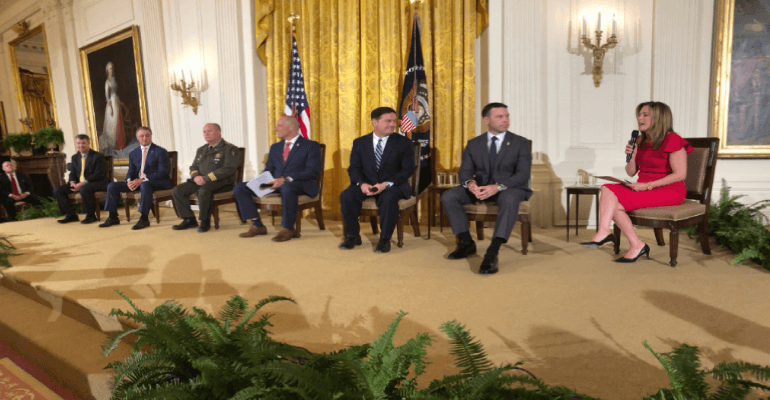 Arizona Governor Doug Ducey and Cochise County Sheriff Mark Dannels participated in a discussion on border security at the White House on Monday. On Monday, Governor Ducey and Cochise County Sheriff Mark Dannels joined President Donald Trump and Department of Homeland Security Secretary Kirstjen Nielsen for a White House event honoring the men and women of Immigration and Customs Enforcement and Customs and Border Protection. Ducey and Dannels participated in a White House panel discussion, joined by U.S. Senator David Perdue (GA), Alabama Attorney General Steve Marshall, CBP Commissioner Kevin McAleenan and ICE Deputy Director Ron Vitiello, on the important role law enforcement agencies play in securing our southern border and keeping U.S. communities safe. During the panel discussion, Governor Ducey praised the work of local, state, and federal law enforcement, including ICE and CBP personnel. In the past year alone, ICE agents have seized over 2,370 pounds of fentanyl – enough to kill over 537.9 million people – and 7,000 pounds of heroin in addition to arresting nearly 5,000 members of violent gangs. Arizona Border Strike Force operations have resulted in the seizure of over 17.2 million hits of heroin, 60,641 pounds of marijuana, 14,249 prescription drug pills/capsules, 4,700 pounds of dangerous drugs, 173,885 rounds of ammunition, 300 firearms and over 3,199 arrests. Obviously President Trump is hoping to help the Arizona GOP ticket in November by inviting Republican officeholders from our state to these high profile events. Governor Ducey is running for re-election and is expected to head the GOP ticket here in Arizona in November, so every Republican must decide whether it is in the best interest of our State and the fortunes of the Republican Party to re-nominate and re-elect Ducey as Governor. This is also a critical decision for Republicans because he would head then GOP ticket, Ducey`s fate on election day will impact all other Republicans running for office as well. The only reason to vote to re-nominate and re-elect Ducey in my opinion is that a Republican Governor is to be preferred to a Democrat one. However, there are some cons that may over-ride even this hugely practical political reason to re-elect Ducey. Most important is the fact that recent primaries and off year elections across the country indicate that Republicans are not as energized as the Democrats are and, perhaps too, a Republican in Arizona cannot be elected without the wholehearted support of conservatives and Trump voters. Unfortunately, Governor Ducey was only a reluctant “supporter” of Trump in 2016 and goes out of his way to dismiss the views and concerns of Arizona conservatives and Trump supporters. The Governor has even gone so far as to endorse Drew John. a candidate for the state legislature who was a Democrat until the day before he filed to run as a Republican. More telling is the fact that John is running against David Gowan, one of the most capable and committed conservatives in Arizona with a stellar record of accomplishments. 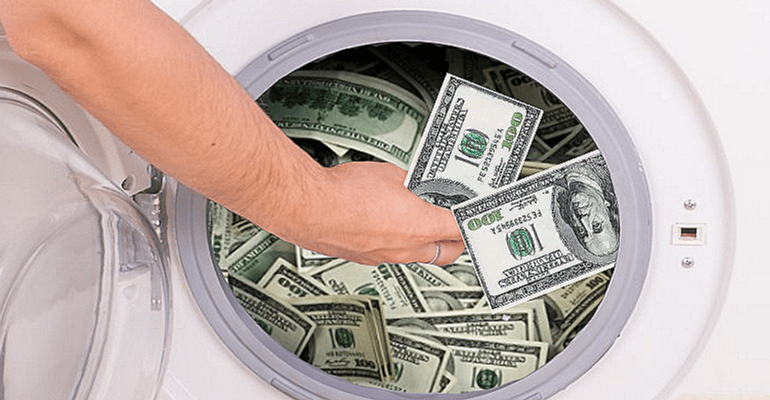 It`s said that politics makes strange bed fellows but Ducey`s endorsement of Drew John in a primary contest against David Gowan is just NOT at all surprising. Governor Ducey has taken every opportunity to bully Arizona Republicans into submission (his way or the highway, the Obama modus operandi) and has been largely successful with dominating the Party organization, though he has not been successful in cowing Republican conservatives and Trump voters. Because Governor Ducey has purposely alienated the very part of the electorate he and other Republicans running in November will need to be successful at the polls, conservatives and Trump supporters, every Republican primary voter should give serious thought to whether Ducey is the best candidate to head the Republican ticket in November. Ken Bennet may not be an ideal candidate for Governor but he at least has shown that he understands that a political party is a joint effort among equals with different views and ideas, not a one man show. Furthermore, the insiders tell us that Ducey`s re-election prospects are shaky (though when he was first elected, Arizona was a reliable Republican State) and therefore Ducey will be directing all Party resources to help himself with the resultant possible loss of a U. S. Senate seat and, here in southern Arizona, the missed opportunity to retain McSally`s House seat and the chance to retire Raul Grijalva. Your vote really counts this primary day, so please do!